Yes, the rhubarb season is well and truly upon us! Loads of the stuff growing in the garden so you may be seeing quite a lot of recipes featuring those rosy stalks. Today it is another version of a crumble, Rhubarb and Orange with Amaretti Crumble. 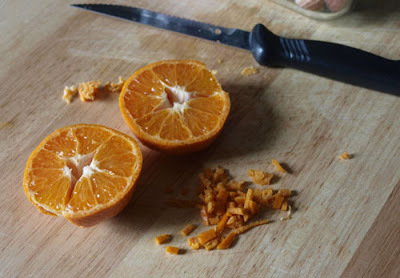 Peel about an inch off a clementine, scraped off the pith and diced it into tiny pieces. 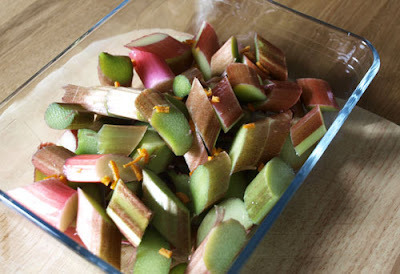 Chop up about four stalks of rhubarb and put them into a dish with the orange zest. 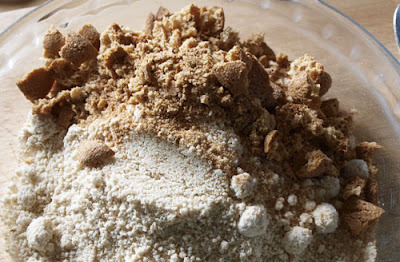 Add a tablespoon of granulated sugar (or to taste). 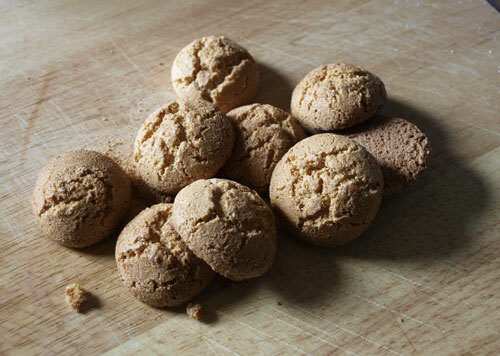 Take 8 - 10 amaretti biscuits and crush them with a rolling pin. 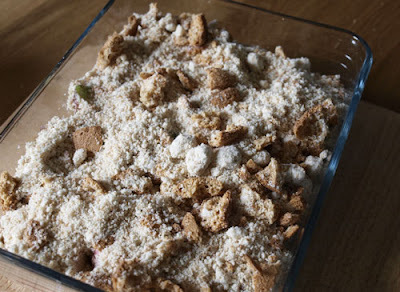 Mix the crushed amaretti with about 4-5 tablespoons of crumble mix. 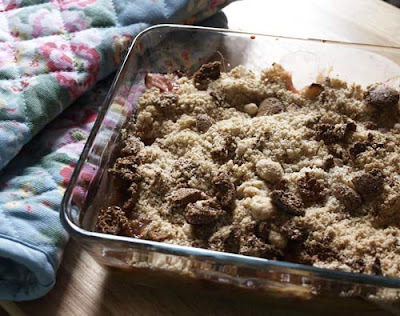 Spoon the mixture over the rhubarb and bake in the oven at 160C for 30-40 minutes until the crumble is golden brown and the rhubarb is bubbling through. Serve with custard (yes, it's Birds Custard again). The hint of orange flavour brought out the rhubarb, and the almond flavour enhanced the crumble and gave it a bit of added texture too. I am so envious of your rhubarb patch! That crumble looks so a treat ... just what teh doctor ordered. That looks fabulous Janice. I think that the amaretti biscuits would give some great favours to this. I love rhubarb and orange together too. I always stew mine with a bit of orange zest and some orange juice. Fabulous! 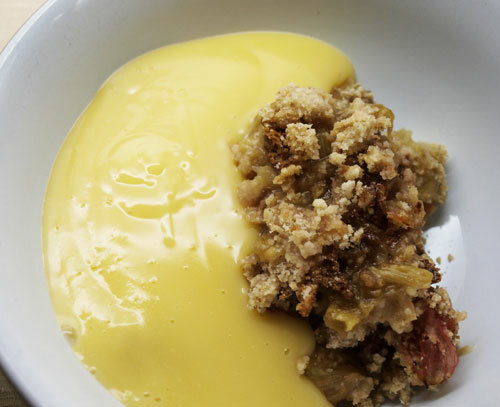 Crumble and custard is my favourite dessert and I love the use of the amaretto biscuits. Rhubarb crumble with orange is delicious but adding amaretti to the crumble is pure genius. I bet that was good. What a great idea to use amaretti biscuits! I just adore a crumble... truly one of the greatest of Great British Puds!